I am a research scientist in Machine Learning and Computer Vision. I work on Social Signal Processing, Affective Computing and Emotional AI. 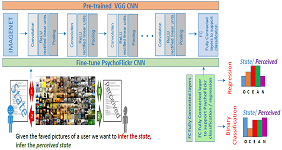 My research interests mainly focus on Computer vision, Machine Learning, Pattern Recognition, Social Signal Processing, Social Media Analysis, Image/Video Processing, Computational Aesthetics, Biometrics, Non-Verbal Behavior Analysis, Behavioral Science, Computational Ethology. I received my BSc in Multimedia Computer Science (2010), MSc in Engineering and Computer Science (2012) and PhD in Computer Science (2016) at the Department of Computer Science of the University of Verona (Italy). During my PhD I investigated the interplay between aesthetic preferences and individual differences. After my graduation I worked as research associate at Disney Research in Pittsburgh (PA). Then I joined the Computational Vision lab of Pietro Perona at Caltech as postdoctoral scholar where I worked on Computational Ethology, focusing on anial social behavior analysis, detecting, tracking and recognizing mice actions in videos. — [01/14/19] Paper accepted on Journal of Consumer Psycology "Predicting the personal appeal of marketing images using computational methods"
Disclaimer. This material is presented to ensure timely dissemination of scholarly and technical work. Copyright and all rights therein are retained by authors or by other copyright holders. All people copying this information are expected to adhere to the terms and constraints invoked by each author's copyright. In most cases, these works may not be reposted without the explicit permission of the copyright holder. The general purpose of this project, in collaboration with Dr. Manganotti, was to analyze video sequences involving epileptic patients. 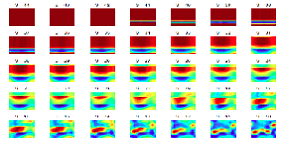 In particular, we created a classifier able to discriminate different stages of an epileptic seizure. 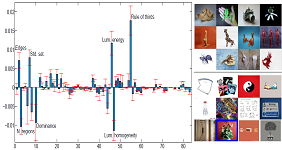 To face this problem we used some techniques based on Active Appearance Models (AAM). 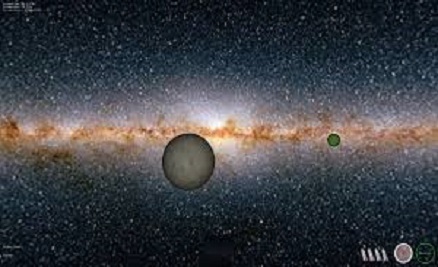 Extend the mElite game located in the space. You can negotiate objects, fuel, planets. For each asteroid you destroy, you earn money and life. 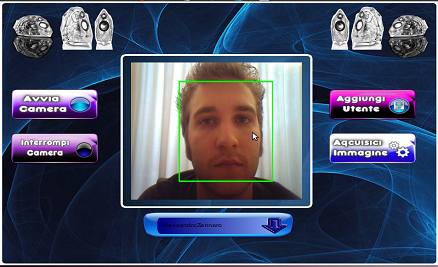 The project consisted in the implementation of a face recognition prototype using eigenfaces and the Qt library. The prototype is now working at the VIPS Lab as authentication system. 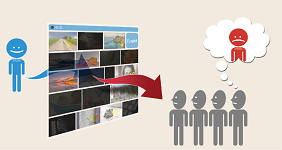 The aim was to use ARToolkit for designing 3D models. The program is able to recognize drawn and printed patterns (like a shape). We studied a mechanism to make the user interact with the program not only through a simple marker, but through keyboard or fingers motion. 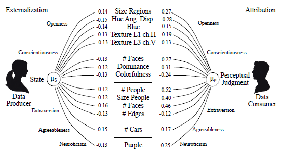 This dataset is used for studying personal aesthetics, a recent soft biometrics application where the goal is to recognize people from the images they like. It's composed of 200 users, 40K images. 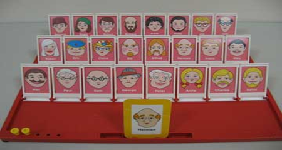 Given a set of preferred image of a user. 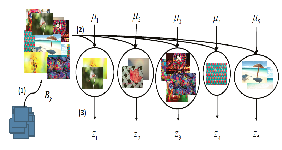 This dataset is used to infer both self-assessed and attributed personality traits (Big-Five Traits) of Flickr users from their galleries of favorite pictures. 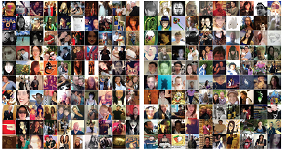 The datset is composed of 60,000 pictures tagged as favorite by 300 users. I attended a bachelor degree in Multimedia Information Technology at the University of Verona, where I was mainly interested in Computer Vision, Augmented Reality, Human Computer Interaction, Computer Graphics and also Perception. 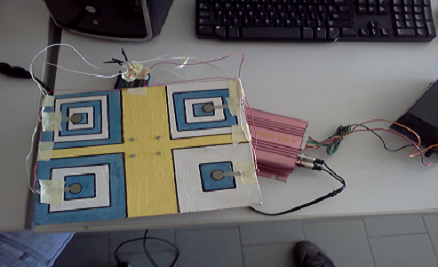 My bachelor degree thesis proposed a face recognition system, that has been installed at the door of the VIPS laboratory of the University of Verona. I completed a master degree on Engineering and Computer Science with a thesis focused on the research field of Social Signal Processing (SSP), the domain aimed at modeling, analysis and synthesis of nonverbal communication in human-human and human-machine interactions. The purpose of the thesis was the person re-identfication through the way people chat with other subjects. During that period, I was lucky enough to work also on other research projects, like recognizing the age of children by the way they talk with each other. 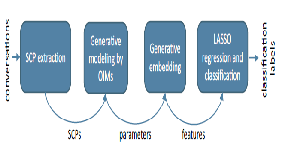 SSP together with, Social Media Analysis, Personality Computing, Machine Learning and Computer Vision became the main topics of my PhD at the Dept. of Computer Science in Verona (Italy). 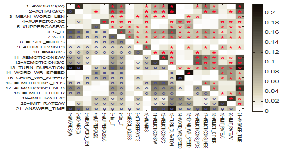 During the first year of PhD I investigated the interplay between aesthetic preferences and individual differences, under the supervision of Marco Cristani. I had the great opportunity to move to Glasgow for some months and collaborate with Alessandro Vinciarelli to this project. 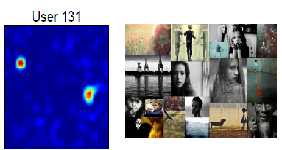 I collected a dataset of 60K images favorited from Flickr users, extracted features coming from the field of Computational Aesthetics (CA), and predicted from them the personality of a user. Continuing on the perspective of CA, we also proposed a soft biometrics application where the goal is to recognize people by considering the images they like as a new biometric trait. At the end of the second year of PhD I moved for some months in Birmingham to collaborate with Mirco Musolesi with the aim of investigating the role of textual, visual and social cues in information propagation in Twitter. 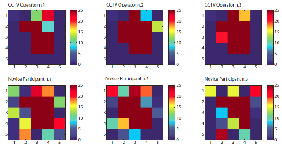 My last contribute during the PhD was in the field of Deep Learning and Representation Learning, trying generalize the particular cues that characterize each personality trait. While waiting to defend my Phd thesis, I worked as research associate at Disney Research in Pittsburgh (PA). After my graduation, I moved to Pasadena (CA) to work as postdoctoral scholar at California Institute of Technology (Caltech), in the Computational Vision Lab, under the supervision of Pietro Perona and to collaborate with David Anderson. Here I worked on animal behavior, in particular, Computational Ethology, which involves biologists and computer scientists with the common goal of understanding, analyzing, measuring and describing animal behavior using Machine Learning and Machine Vision algorithms and tools. 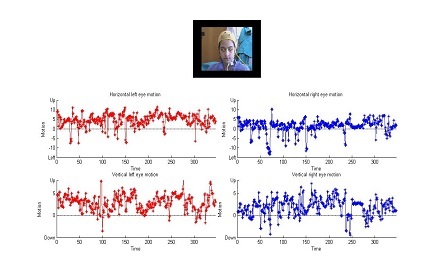 My role here was to develop a novel system able to detect, track and recognize mice actions on videos. 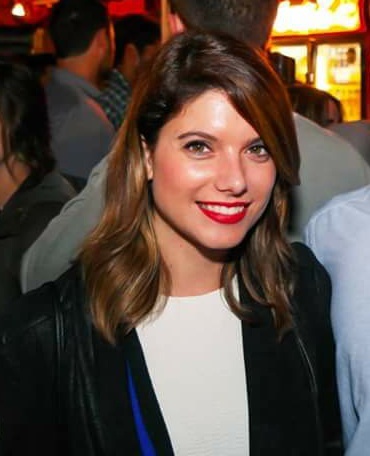 Currently I am a research scientist at Disney Research LA, working on Machine Learning, Computer Vision, Emotional AI and Affective Computing and Perception with the goal of creating new magic experiences in the theme parks, resorts, hotels and cruiseships. Thesis title: A Social Signal Processing Perspective on Computational Aesthetics: Theories and Applications. Master Degree in Computer Engineering and Computer Science, Curriculum in Visual Computing, University of Verona. High School Diploma in Ragioneria and expert programmer. DR Internship, Dinsey Reseach, Pittsburgh, PA, Tutor: Maarten Bos. UoB Internship, School of Computer Science, Birmingham, UK, Academic Tutor: M.Cristani, Tutor: M. Musolesi. 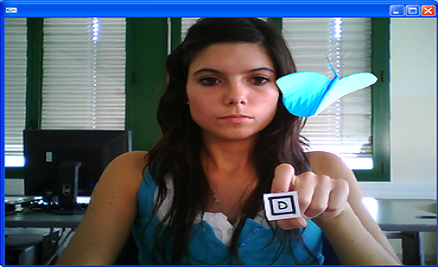 GLA.DCS Internship, School of Computing Science, Glasgow, Scotland, Academic Tutor: M. Cristani, Tutor: A. Vinciarelli. IIT Internship, IIT Genova, Genova, Tutor: V. Murino. VIPS Lab Internship, Computer Science Dept., University of Verona, Academic Tutor: M. Cristani, Tutor: U. Castellani. VIPS Lab Internship, Computer Science Dept., University of Verona, Academic Tutor: U. Castellani, Tutor: M. Cristani. 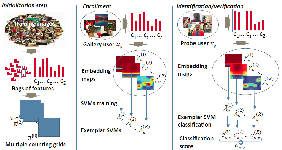 ICVSS Best Presentation Award 2015 - International Computer Vision Summer School best poster presentation. Erasmus Placement 2013 - Second over four grants assigned to PhD students for placements in companies, facilities. PhD Scholarship - University of Verona that support my PhD from January 2013 to December 2015. Alessandro Vinciarelli - School of Computing Science, University of Glasgow (Glasgow) and Idiap (Switzerland). Experience with:High level programming languages, digital design flow, validation and testing techniques, scripting languages, web interface development. Interpersonal Skills:Strong ability to blend in new contexts, good skills in teamwork, good organizational abilities, dynamism, desire for learning, extrovert. Hobby and sports: Travelling, reading, cooking, watching TV shows, Yoga, Running, eating sushi and lots of chocolate! !